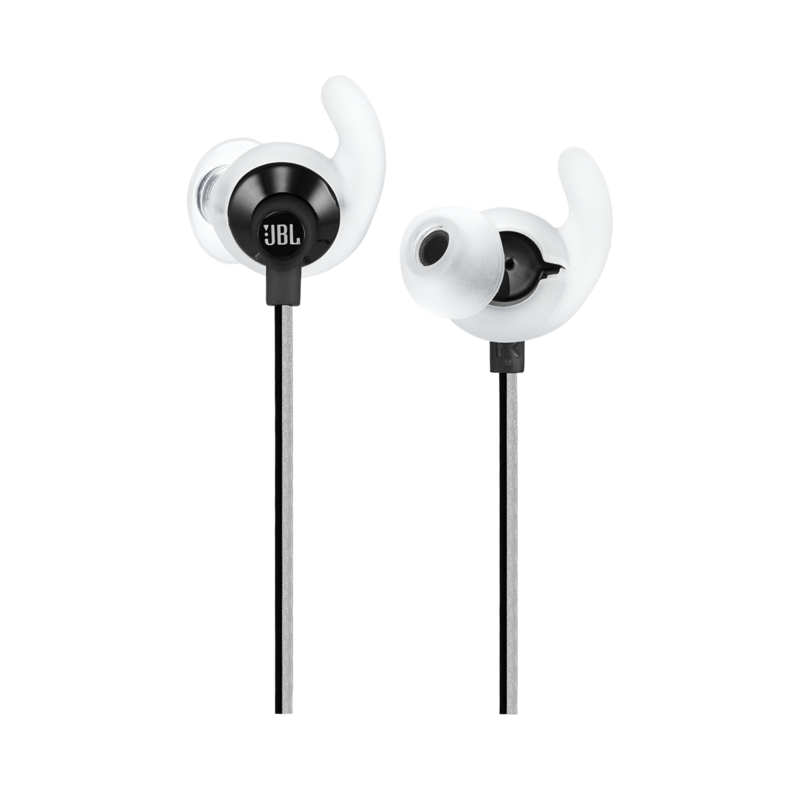 JBL Reflect Fit is rated 3.3 out of 5 by 95. Rated 5 out of 5 by Nickfresh101 from Great all around product I got a pair for Christmas and I have to say they are pretty amazing. Sound quality is great and it's super comfortable to wear. I actually forget that I'm wearing them. 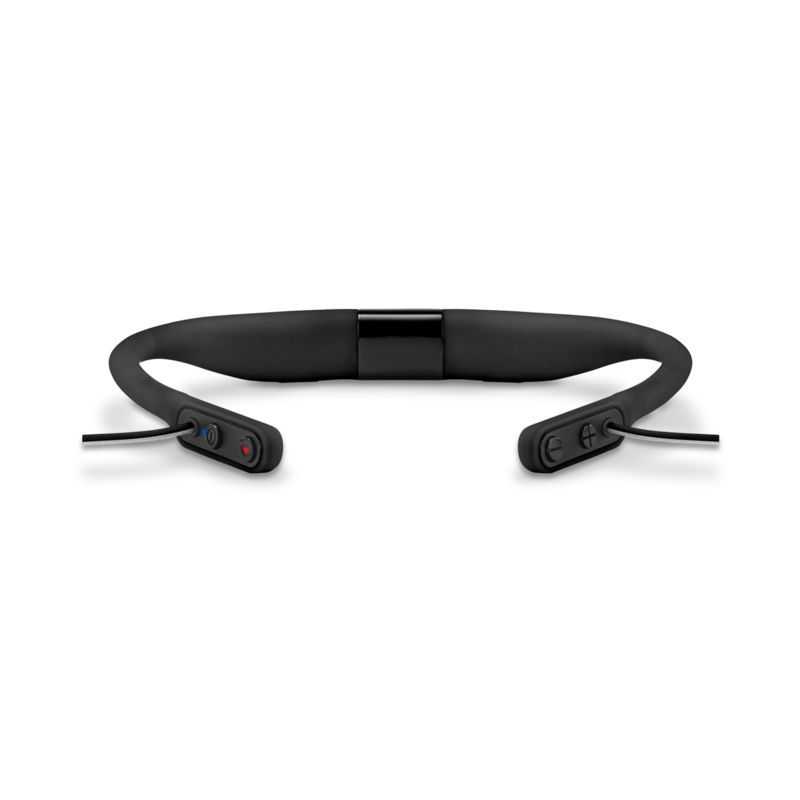 Rated 4 out of 5 by Pas14 from Bon casque Bluetooth pour le sport Après utilisations dans des conditions nécessitant que les oreillettes tiennent bien dans l’oreille, je dois dire qu’en celles-ci sont excellentes! Elles tiennent parfaitement à l’oreille et son confortables. Côté son, il est plutôt agréable même si les basses ne sont pas très présentes, mais le son est bien équilibré. Par contre, après plusieurs tentatives, impossible d’utiliser le moniteur cardiaque, aucune des applications conseillées par JBL dans la notice ne reconnaît le JBL Reflect Fit, sur IOS et Android, peut-être mal expliqué dans le mode d’emploi? Pour le reste, autonomie parfaite,solide et bien finie! La petite housse pour les ranger et fournie, merci JBL! 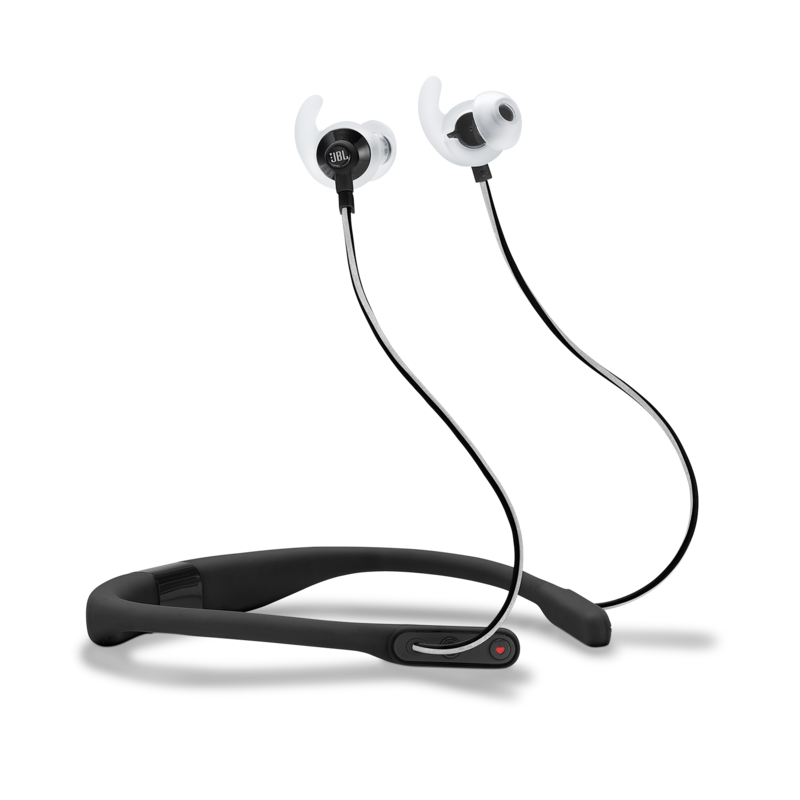 Rated 4 out of 5 by Carlo2017 from Long battery life, good sound, tight on the neck Was really excited to get this pair as I am an aspiring runner and I like my tech. Sound quality is good, would have liked deeper bass sounds though. It stays in war while running and is quite stable except that it is quite tight. I have a 16.5 inch neck and after awhile it does wear down on you. 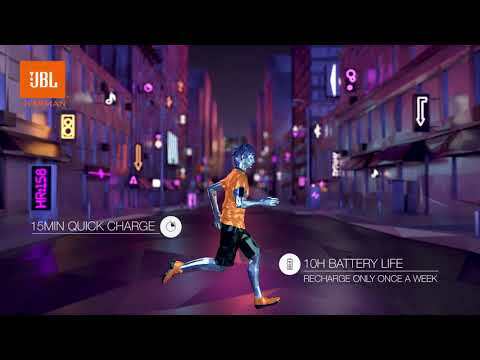 Battery life is good too, even when you use the heart monitor while running. It lasts a good 4-5 days if used for at least 3 hours a day. Would recommend it for active people who like to listen to mus C while exercising. Rated 4 out of 5 by jblfan2 from Nice fit. Pairs fine. Sound is good, not great. I've been listening to a pair of wired reflects for a few years now (those sound AWESOME! ), and figured I'd upgrade to the bluetooth version. These fit great, but the bass doesn't live up to the wired version. It appears that the drivers on these are smaller (around 6mm instead of 8mm) and it really shows in the bass. They sound okay, and I'll use them in the gym, but I was hoping for a little more bass. Keep in mind that I've been spoiled by the wired reflect earbuds. Compared to the cheap bluetooth earbuds my kids buy, these are a huge improvement. Definitely get these instead of cheap knock-offs. It's just that these don't sound as good as the wired version. Rated 4 out of 5 by GBlade from Initial Thoughts Really enjoying the product. Great fit and sound quality. The HR Monitor is quite useful, as I don't tend to track my activity but these synced with my apps with no fuss and it was interesting keeping tabs on my workout. 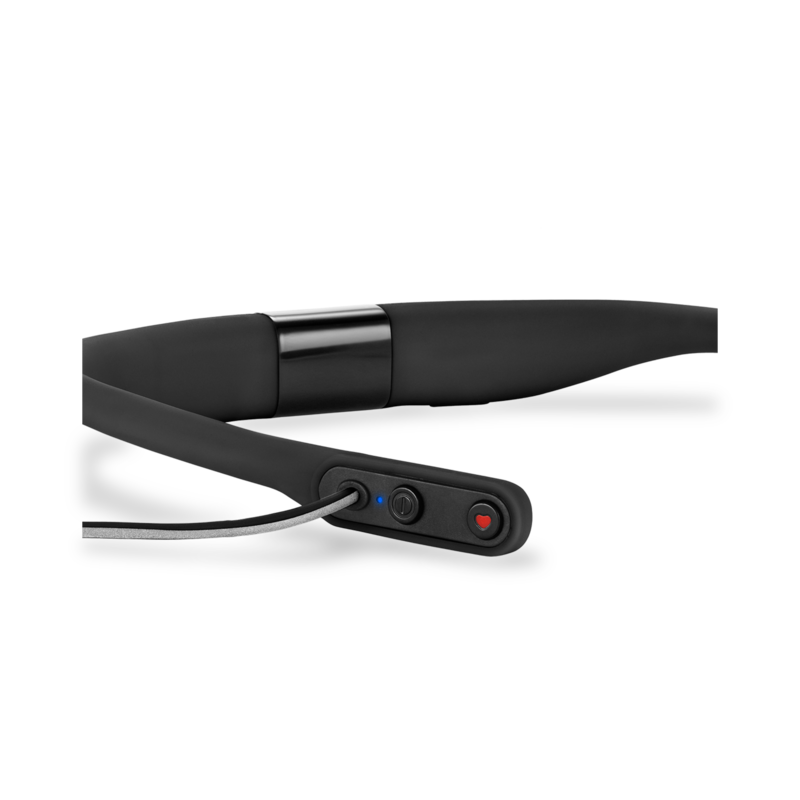 The battery life seems really good so far The sound quality is as good as I've had for in-ear The fit, particularly the neck piece is far superior to other products with a wire. Rated 4 out of 5 by PatrickH88 from JBL Reflect Fit Ik heb de reflect fit nu een tijdje in mijn bezit, de accuduur is prima denk dat hij de aangegeven 10 uur wel haalt. Geluidskwaliteit is goed, enig minpunt is de bass, deze is nauwelijks aanwezig. Iets wat ik zelf toch wel belangrijk vind. Verder is het geluid wel helder, dat maakt een hoop goed. De oortjes zitten uitstekend stevig in de oren (meerdere dopjes voor elke vorm en maat oor) en vallen niet uit tijdens bijvoorbeeld het hardlopen. De bluetooth connectie doet wat hij moet doen. geen negatieve ervaringen mee. De hartslagmeter werkt ook prima. ik denk dat deze vrij nauwkeurig zijn werk doet. 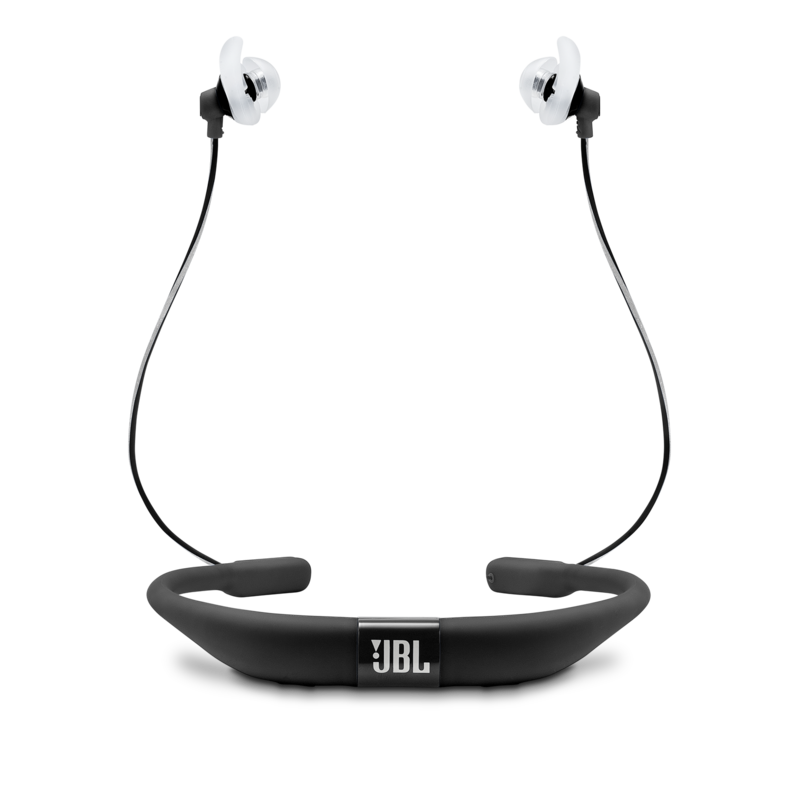 Rated 3 out of 5 by Hugomdr from Good start, but Durability Issues Ive been using my JBL reflect fit daily for a few months. The sound is great, as is battery life. However, I had issues with microphone (resulting in poor calls were I could not be properly heard). Heart rate detection has a hard time detecting heart beat and is a frustrating feature When cleaning, the black circle that covers the speakers easily falls off. Also, the isolation on the charging whole fell off very early. More recently, the band started to crack under the plastic and is now broken, resulting in the band being loose around the neck and the microphone not working at all. Rated 2 out of 5 by EngMGL from Perfect if you don't use outdoor I bought them to be used while running and biking. Everything is fine except BT outdoor. When you keep your mobile phone on your back ( like standard pockets on biking clothes) then when you go outside immediately your headset loses connection to your mobile. This is not generic BT issue as I compared with my Philips SHB8850NC in exactly the same conditions/locations and it worked perfectly. Another disadvantage is when you use with collar. Then cables friction is transmitted directly to your ear. If you are tiny, like my wife, then your neck can be to thin and the necklace will be loose swinging on your neck when running. Pros: Really good isolation from external noise esp. useful when biking with higher speed. Good Hart Rate detection. Good sound.